ROSALIND was designed and built in 1904 by Harry Thomas Stow & Sons at Shoreham for Charles Hellyer of Yorkshire. Admiralty away from her precious lead keel. 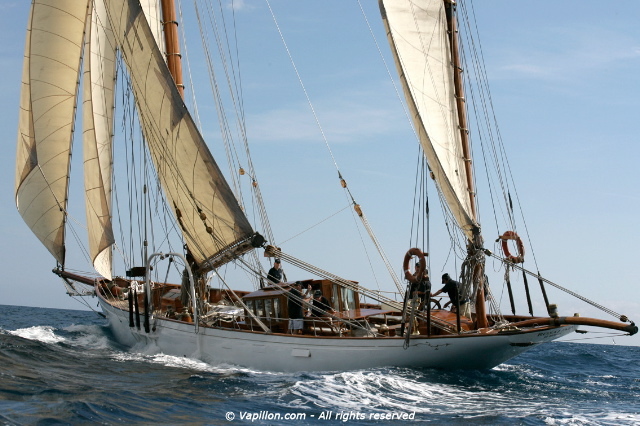 ones, the yacht underwent considerable modernization – a ketch rig, her bowsprit and bumpkin were removed. and in 1994 he set about persuading the owners of ROSALINDA to return the yacht to her original looks and style. used to, well balanced and capable of being handled by a crew of 4.